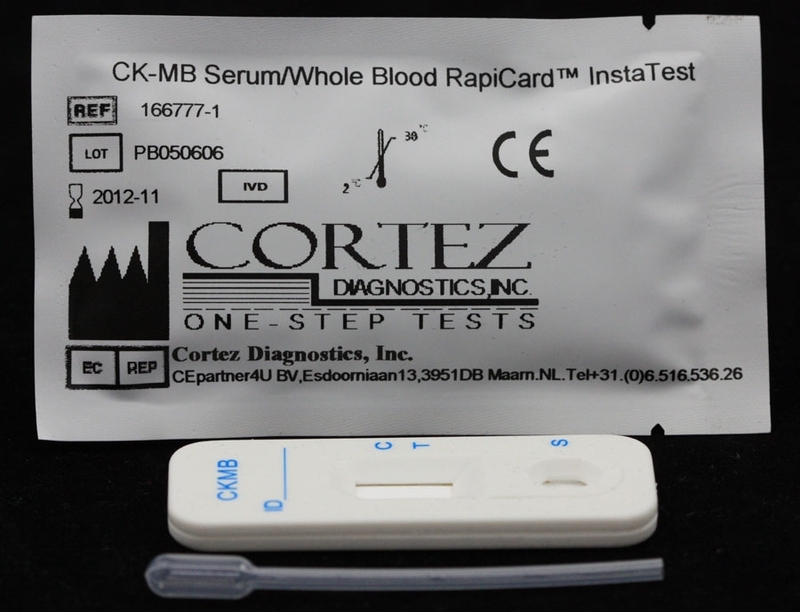 CK MB Rapid Test | CE-GMP | 818-591 3030-USA. Diagnostics Automation CK-MB test is a one-step an immunochromatography test. The CK-MB Rapid Test is designed for qualitative determination of CK-MB in human serum, whole blood or plasma specimens as an aid in the diagnosis of myocardial infarction. The sensitivity of CK-MB Rapid test can detect serum concentrations of 7.0 ng/ml or greater. normal in about 2 to 3 days. CK-MB is widely recognized as the traditional marker for the diagnosis of acute myocardial infarction (AMI). 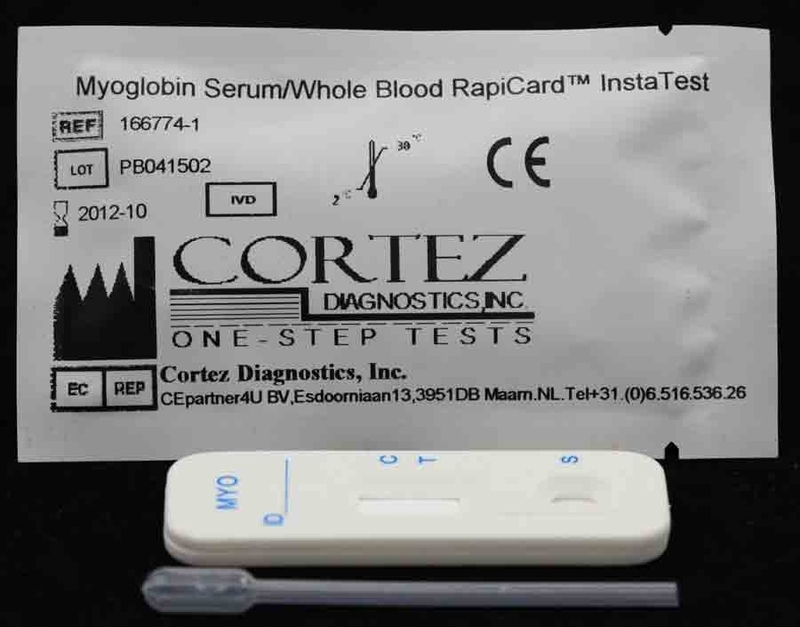 CK-MB Rapid test is designed for qualitative determination of CK-MB in human serum/ Whole blood/ Plasma specimens as an aid in the diagnosis of myocardial infarction. This CK-MB test is a sandwich immunoassay. When serum sample is added to sample pad, it moves through the conjugate pad and mobilizes gold anti-CK-MB conjugate that is coated on the conjugate pad. The mixture moves along the membrane by capillary action and reacts with anti-CK-MB antibody that is coated on the test region. If CK-MB is present at levels of 7.0 ng/ml or greater, the result is the formation of a colored band in the test region. If there is no CK-MB in the sample, the area will remain colorless. The sample continues to move to the control area and forms a pink to purple color, indicating the test is working and the result is valid. See Product Insert for more details. 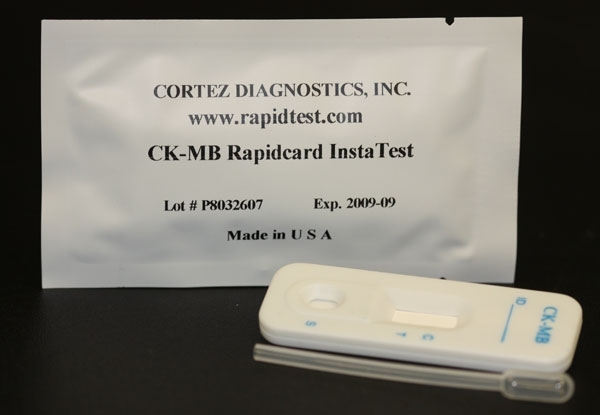 Diagnostic Automation Inc. offers an additional CK-MB Rapid Test - the CK-MB Serum Rapid Test. 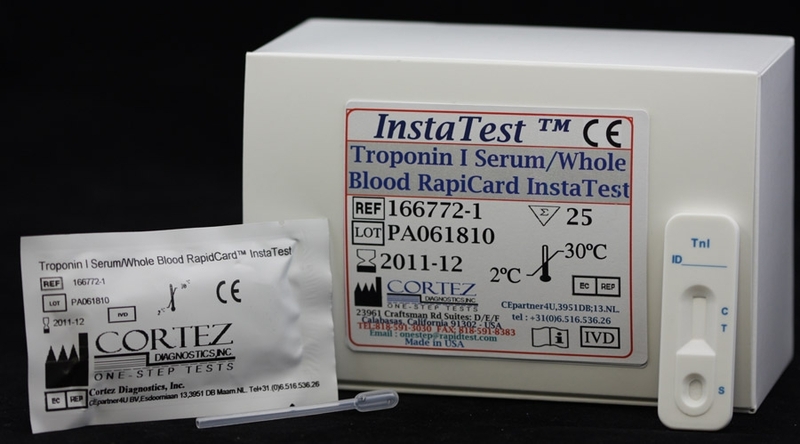 Other Cardiac Markers Rapid Tests are available, along with Cardiac Markers ELISA Tests. Please see our home page product list, or contact our Customer Service Representatives for more information. For a complete list of Rapid Tests, ELISA tests, IFA Kits, Serology Tests, and available testing Instrumentation, please visit our website home page or contact our Customer Service Representatives at 818-591-3030 . The CK-MB Rapid Test is a sandwich immunoassay where the antigen is sandwiched between two antibodies. 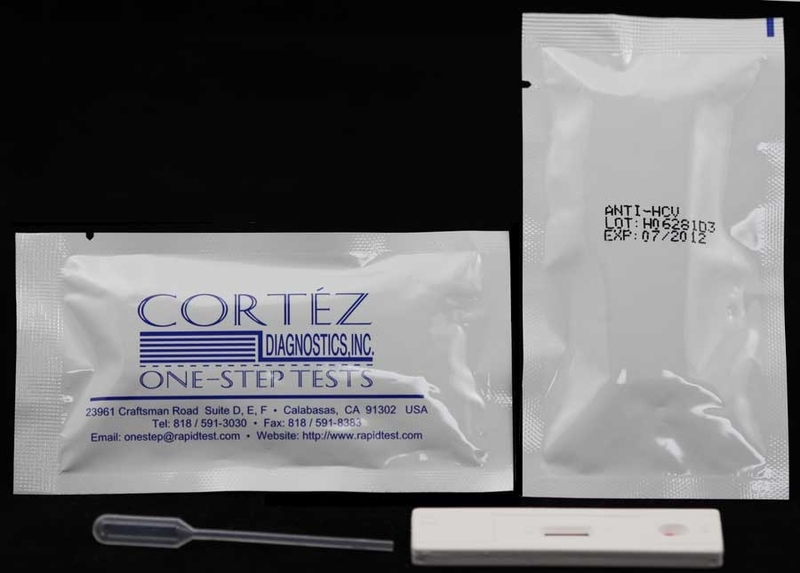 The CK-MB Serum/WB/Plsma Rapid Test is safe, accurate, and quick. If two colored bands are visible within 10 minutes, the test result is positive and valid. If the CK-MB Rapid Test area has no color band and the control area displays a colored band, the result is negative and valid. Specimen collection and preparation procedures are convenient to use and easy to follow.